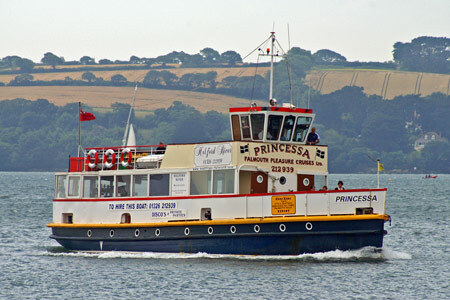 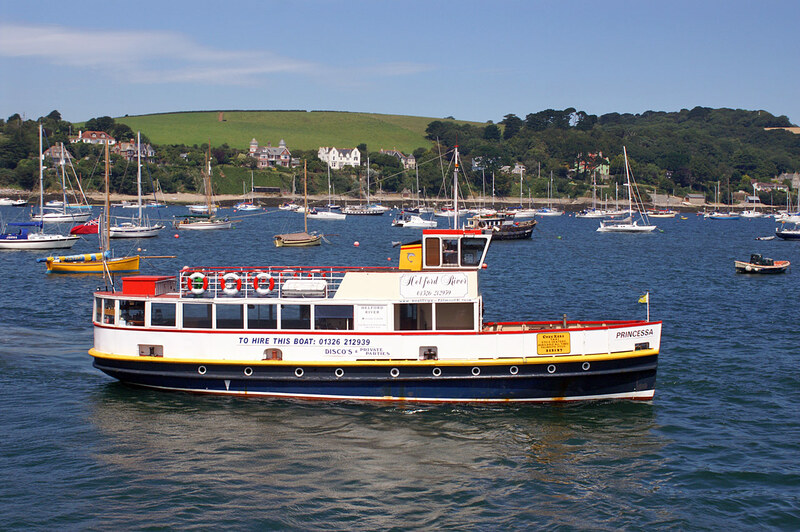 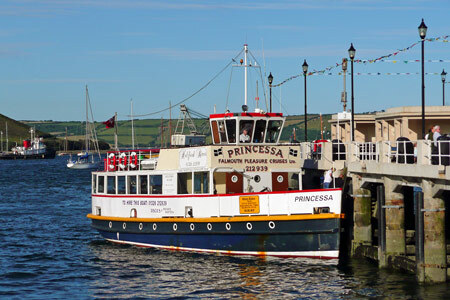 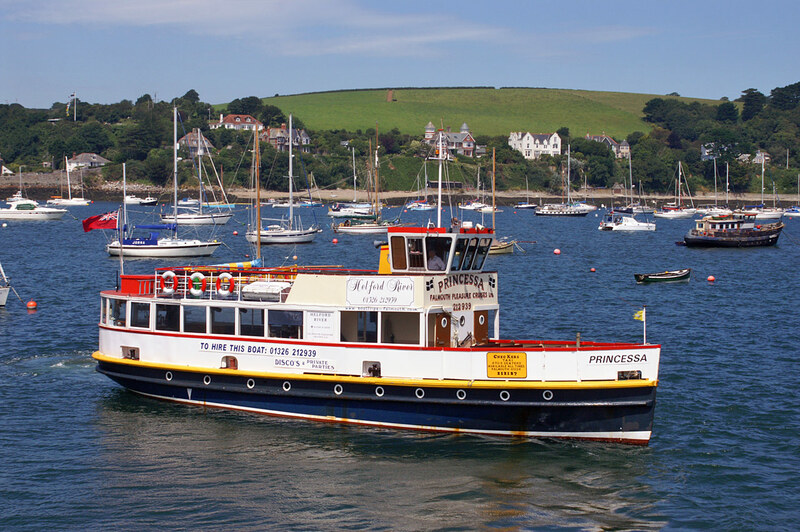 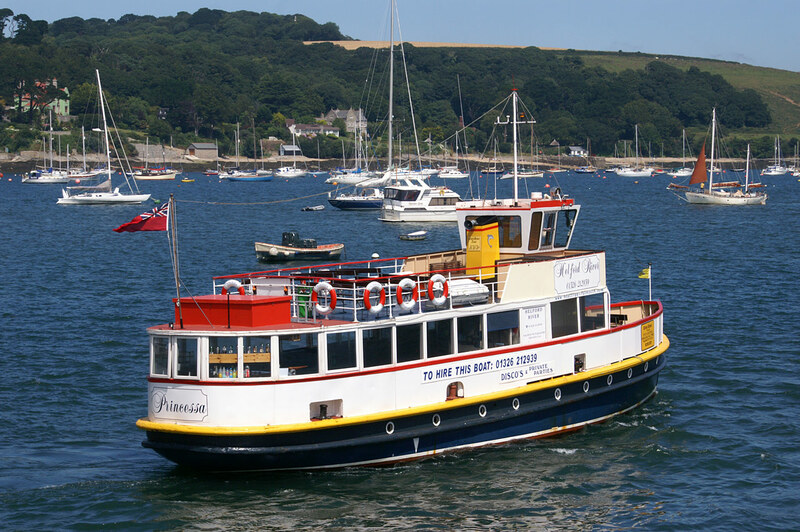 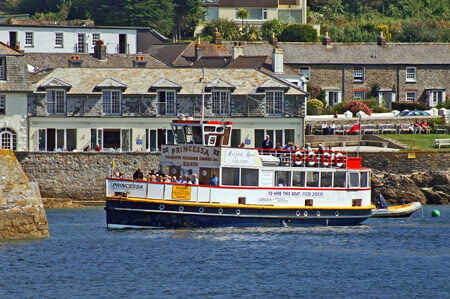 The Pill family have run passenger boats on the River Fal for many years, and acquired the Princessa to join their fleet in 1986. 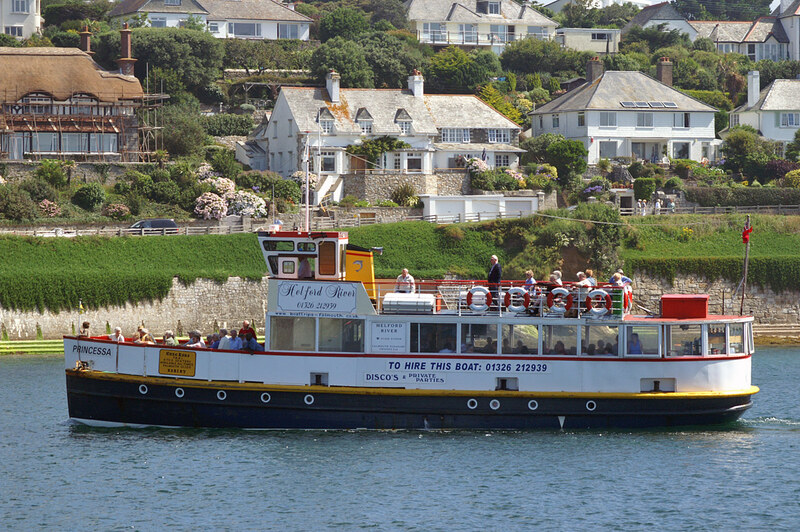 Since 2001 she has been run by John Pill (as Falmouth Pleasure Cruises). 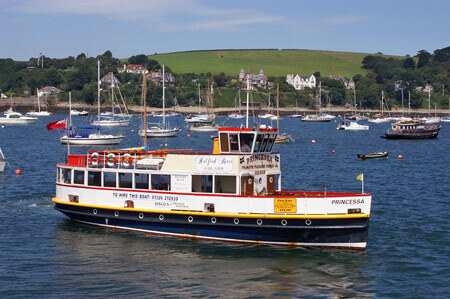 He also recently operated the ex-Thames catamaran Twinstar III on cruises to Trelissick Gardens and Smugglers Cottage, marketed as Twinstar Cruises. This vessel is laid up in 2008 and was available for sale. 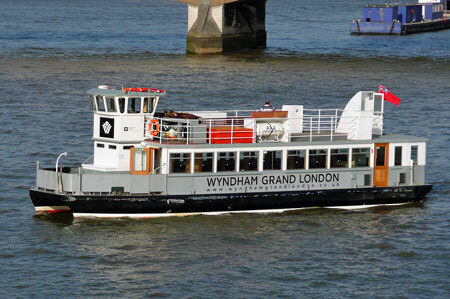 She was bought by Thames Executive Charters who renamed her Wyndham Grand. 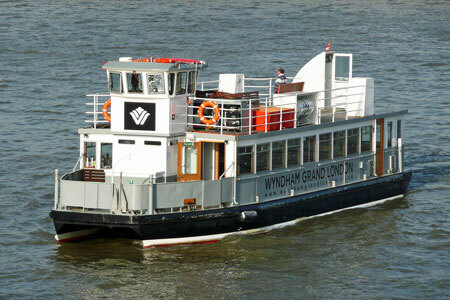 She is to operate charters for the luxury hotel of the same name. 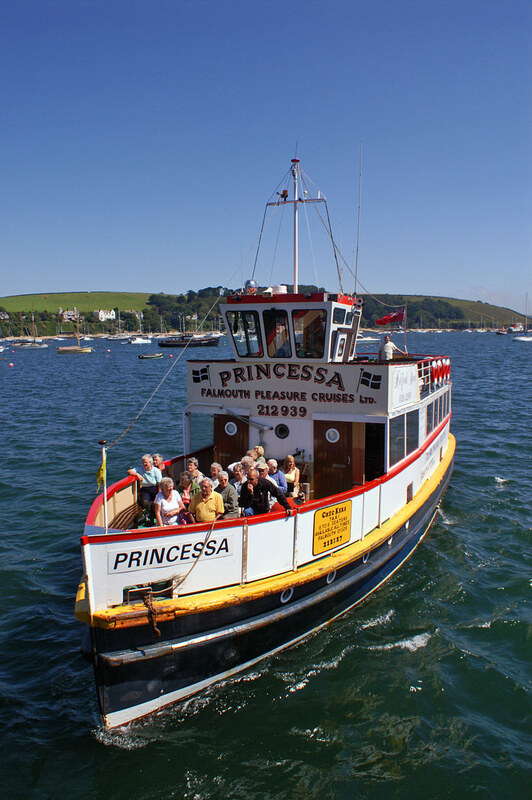 Princessa was built by Camper & Nicholson in Gosport for the Port of Portsmouth Floating Bridge Company in 1921. 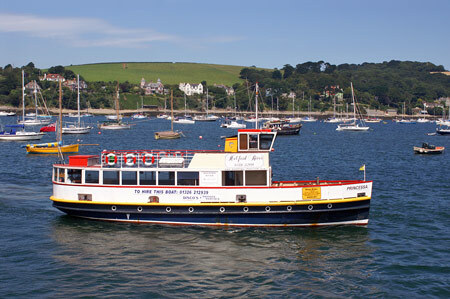 She was intended for use as an excursion vessel rather than a harbour ferry. 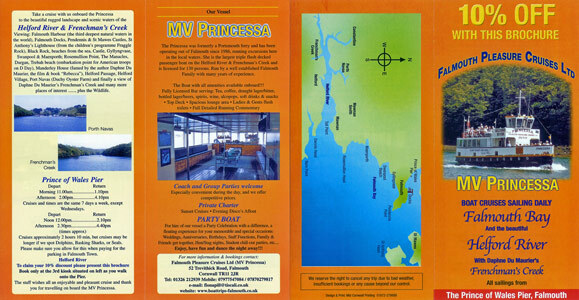 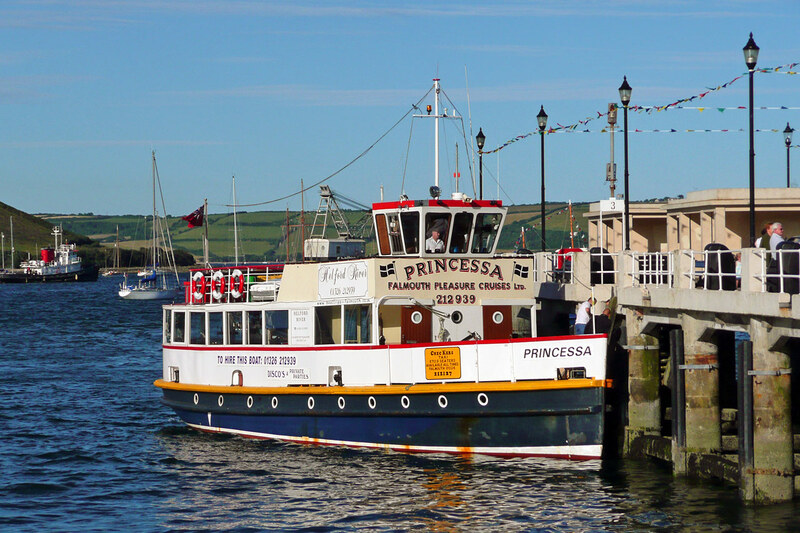 Princessa was used on trips around Portsmouth Harbour and across the Solent to Seaview. 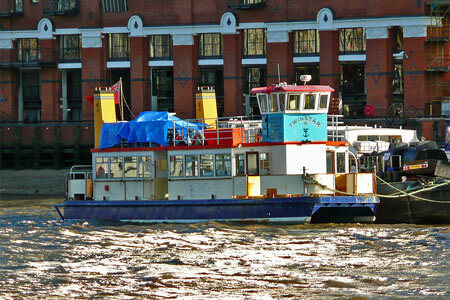 She was powered by a 2-cylinder compound engine by Plenty of Newbury. She was bought by the Solent Boating Company and fitted with a Gardner diesel engine and small deckhouse. Princessa was employed on Southampton Water and the Beaulieu River until 1986, when she moved to Falmouth to work for G.H.& W.G.Pill (later just G.H.Pill). 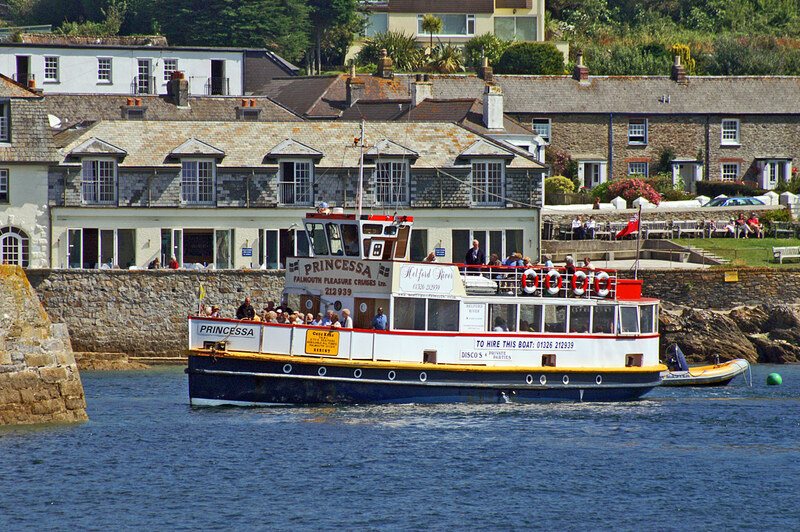 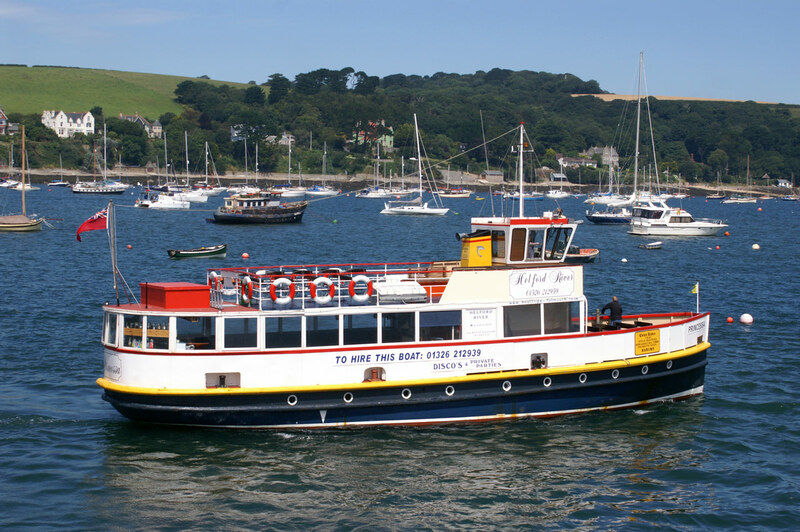 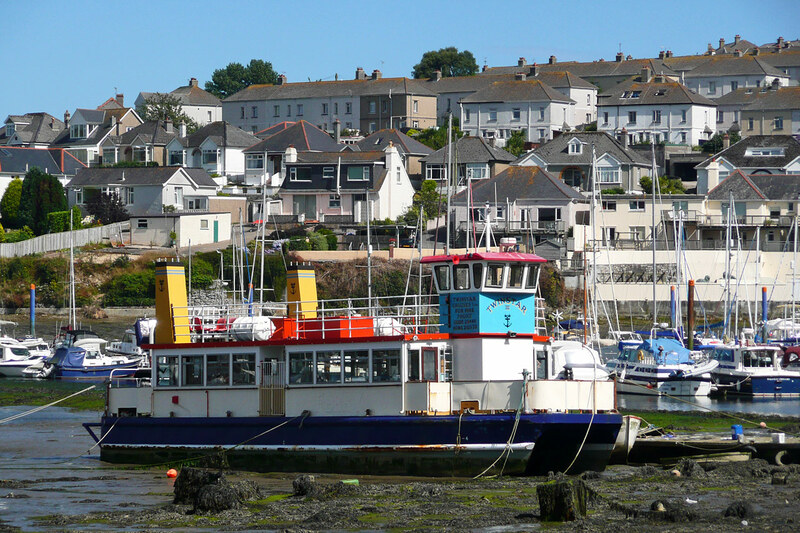 Since 2001 she has been run by John Pill (as Falmouth Pleasure Cruises), and operates morning and afternoon cruises to the Helford River. She is the largest excursion boat on the River Fal. 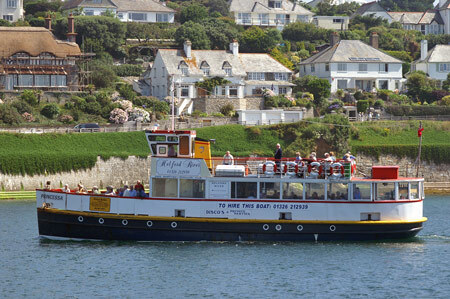 See www.boatcruisesfalmouth.co.uk for details. 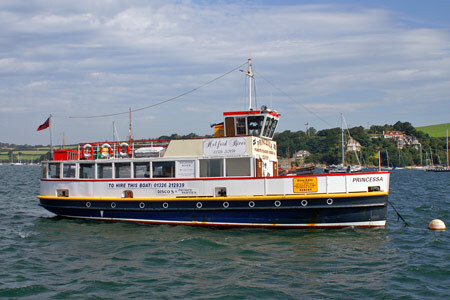 Twin Star III was built for use on the Ford workers ferry at Dagenham, and later served on the River Fal. 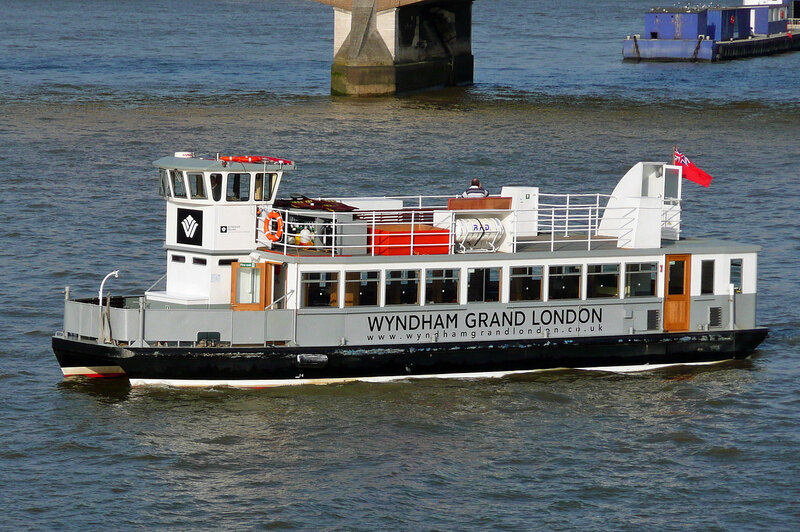 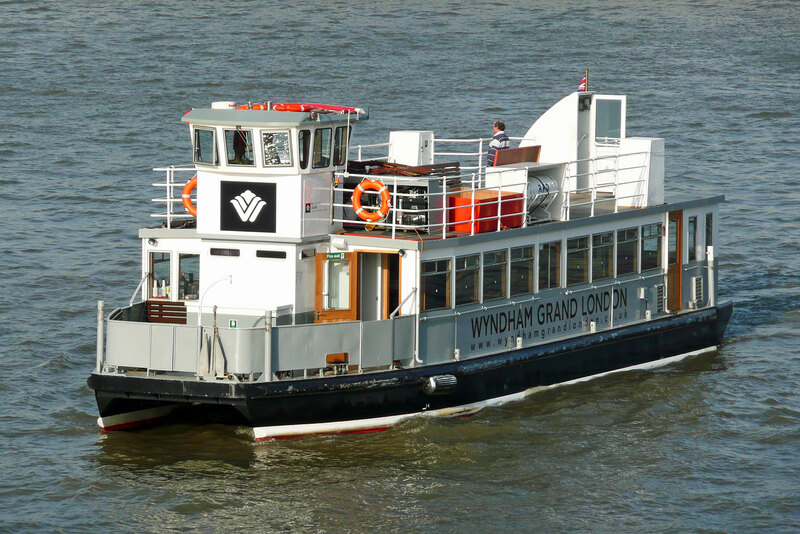 In 2008 she was sold to Thames Executive Charters who renamed her Wyndham Grand for use in association with the Wyndham Grand Hotel in Chelsea.